Mix mayonnaise, chili sauce and brown sugar; set aside. 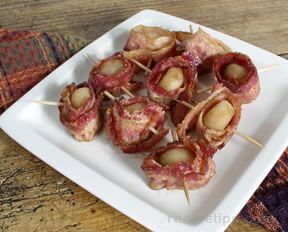 Wrap each chestnut with a piece of bacon and secure with a toothpick. 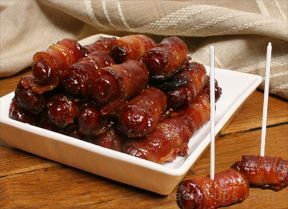 Cook bacon/chestnuts at 350°F on a baking sheet until bacon is cooked. Place cooked rumaki in a Pyrex pan and cover with sauce. Let marinate overnight. 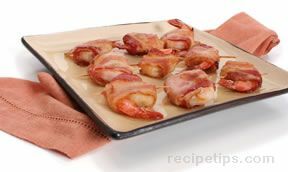 Before serving, put in a 350°F oven for about 20 minutes or until hot and bubbly.